Voxengo Elephant version 4.6 is now available for download. 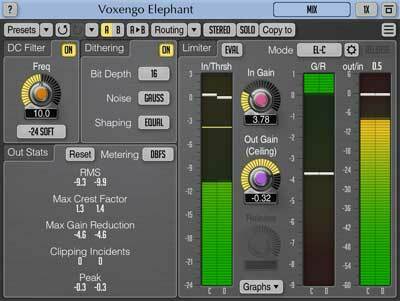 Voxengo Elephant is a mastering limiter plugin for professional audio and sound production applications, available in AAX, AudioUnit, VST and VST3 plug-in formats (including native 64-bit support), for macOS (v10.7 and later), and Windows computers. 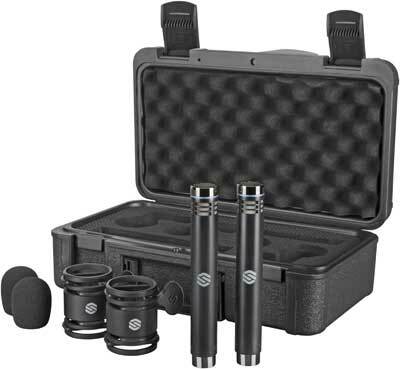 Sterling Audio announces the SL230MP medium-diaphragm condenser microphones. Offered as a matched pair, the SL230MP mics are an excellent choice for capturing ultra-realistic stereo recordings of acoustic guitar, piano, percussion, choirs, string sections, entire bands or orchestras, and more. As expected from Sterling, the sound and build quality is comparable to that of microphones many times more expensive. K-Devices, an innovative developer of music software tools, has released WOV and TTAP, new plug-ins for the VST/VST3/AU/AAX formats. These Plug-ins are K-Devices first of a new series of creative audio effects with DSP referred to as the Phoenix series and are available in new formats. 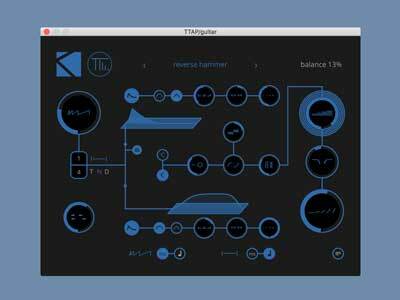 This new series also introduces a new GUI design philosophy to streamline the creative process and encourage experimentation beyond the original DSP intent.